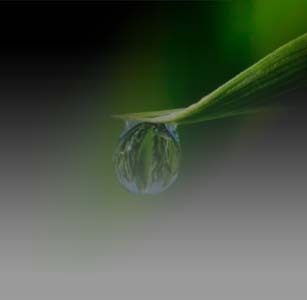 At Pedal Valves, our number 1 focus is the conservation of our most precious natural resource - water. Through years of engineering and construction in the water conservation field, we have been able to develop a database of all water saving products available. We look to this database and our experience to help you turn your water wasteful buildings into Water Conserving Buildings. This process starts with a detailed walk through of each building at your facility. After this survey is conducted, Pedal Valves then constructs a mathematical model of each building. This model takes into account the number and types of fixtures at each building, the number of visitors and staff, and the cost of water, energy, and sewage treatment. After the models for each building are completed, we then conduct a water conservation engineering and design analysis of the facilities. This process determines the best combination of retrofits to cost effectively reduce consumption of utilities. Based off of this analysis, different retrofit criteria can be established. 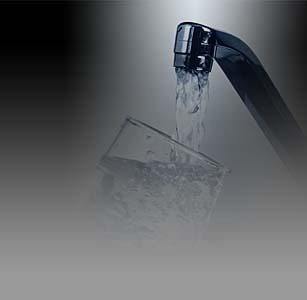 Extensive upgrades can be expected in buildings where water and sewage is more expensive and the consumption is high. Limited upgrades can be expected in buildings where water and sewage is inexpensive and the consumption is low. Our projects are designed to reduce water consumption, wastewater production, and hot water energy usage through the installation of state of the art, highly efficient, plumbing products and controls. The use of these devices and others are selected not only for their efficiency, but also to provide for durable, long-term use with minimal maintenance and improved hygiene. Significantly lower maintenance costs associated with facility plumbing leaks, clogs and breakage due to the replacement of the outdated fixtures with the new, high efficiency fixtures. In all aspects of our construction work, the primary focus is customer service. Our goal is to make sure that our customers are 100% satisfied with the work that we perform. We realize that we are working in your building and extra care is taken to ensure that we perform the way you would have us perform. If you have any special requests, we can meet those. If you have special hours you need us to work, we can meet those. If you have special materials that you prefer, we can make sure and use those. Additionally, every project that we perform is a water conservation project; therefore, our Project Managers undergo quarterly training to make sure they are current with the latest technologies. It is their job to ensure that the products we install function in the most efficient way possible to ensure you maximize your savings. When you hire Pedal Valves to construct your water conservation project, you can be confident you are hiring a: highly trained, drug tested, background checked and 100% focused on your satisfaction team to execute your project. We look forward to working with you. Our engineering staff is ready to provide you with the solutions you need to start saving money...and our environment. Please call 1.800.431.3668 to learn more about our services.